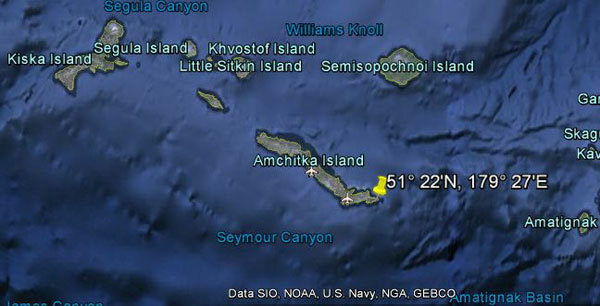 In June of 1942, the enemy landed on Kiska Island in the Aleutians and the U. S. Fleet was interested in Amchitka Island, 60 miles east of Kiska. S-27, on her first patrol, with Lt. H. L. Jukes in command, was sent to make a reconnaissance of Constantine Harbor, at Amchitka, and then to go around the island and patrol off Kiska. 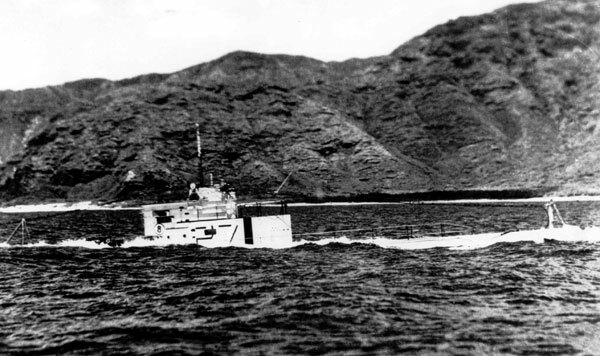 By 19 June 1942 [This should be 18 June 1942, according to the war patrol report of USS S-27], the reconnaissance was completed, and S-27 started for her area. In the Aleutian area at that time of year there is daylight eighteen hours of the twenty-four, and when S-27 surfaced at 2200 on the night of 19 June [This should be 1920 on 18 June 1942, according to the war patrol report of USS S-27], after the necessarily prolonged submergence during daylight hours, her batteries were badly in need of charging. Navigating only by DR (Dead Reckoning) since she had no radar or fathometer, S-27 gained a position well off the land, and hove to in order to charge batteries. While she was lying to, currents took her about five miles from her DR position, although fog prevented knowledge of it at the time. At about 2240 [0043, according to the war patrol report of USS S-27] on 19 June, S-27 was able to go ahead on one engine while charging on the other. Almost immediately, she struck a reef about 400 yards from Amchitka Island and rolled over into a rocky basin. All efforts to get off the rocks were futile, and of six despatches sent telling her plight, only one, which did not give her position, was picked up. The torpedo room was flooding, the after battery was getting wet and generating chlorine, and the boat had an eight to twelve degree down angle. The ship was abandoned, and all hands were taken ashore in a rubber lifeboat. They spent the night huddled around fires, and the next morning set out for the village at Constantine Harbor, across the island. There they found a church and two buildings, the Japanese having bombed the rest, but no inhabitants. Food, guns, and ammunition had been salvaged from the ship and the men were organized by the Commanding Officer into a regular military camp. On the sixth day a PBY flew over, sighted the men, and landed. He took 12 men and an officer back to Dutch Harbor and the next morning three other PBY's flew out for the rest of the men. The crew survived this disaster without a single injury or case of illness. See also Ed Howard's Final Patrol page on USS S-27 (external link).